A relaxing weekend in Noosa? Sign me up! It’s been over six months since I made the sea change and moved from the biggest city in Australia to a small coastal town; and I haven’t looked back since. Lucky for me, my new home is the Sunshine Coast in Queensland and just a short 15-minute drive up the road is Noosa, one of the most beautiful beaches on the coast. Hugged by Noosa National Park and the Noosa River, Noosa is well known for shopping along Hastings Street and its abundance of protected coves and beach breaks. In fact, when the waves are good, don’t be surprised to find Julian Wilson in the water next to you. A paradise drenched with an abundance of pandanus trees, lush tropical palms and bluest of waters in the country, it’s no wonder this destination is a favourite amongst Australians – and for obvious reasons, its gorgeous and doesn’t seem to attract as many people as it southern sister, Byron Bay. Which as a long, is a godsend! So if you’re thinking about spending a quick yet relaxing weekend in Noosa, here are a few tips. 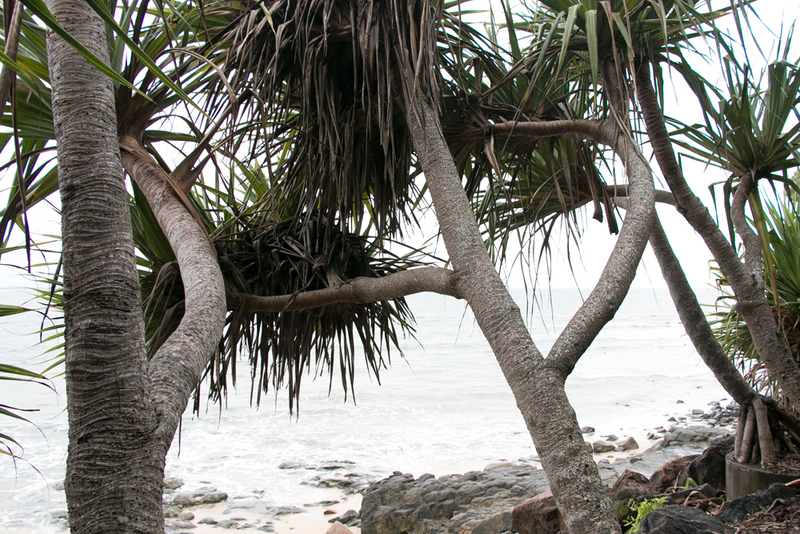 HOW TO GET THERE Noosa is located just under two hours by car from Brisbane in Queensland. The easiest way to get to Noosa is to fly into Brisbane and drive north, or fly into Maroochydore and drive for 30 minutes. HOW TO GET AROUND The fantastic thing about Noosa is that everything is within walking distance. A short walk from Hastings Street is the Noosa National Park, and another short walk from Hastings Street is Noosa Junction, where you’ll find many cafes, restaurants, bakeries, and a large supermarket. You don’t need a car per se, but it is very convenient to have one so I highly recommend hiring one, if anything for the drive to and from the area. WHERE TO STAY There are many places to stay in Noosa, however my favourite accommodation is The Seahaven Resort. With direct access to the beach and Hastings Street, the Seahaven offers panoramic views of the ocean and Noosa Sound. I stayed in a beachside apartment, which saw me leave the comforts of my very stylish, fully equipped one-bedroom apartment and straight into the ocean in mere seconds. Talk about lush! Make sure you order in a delicious gourmet breakfast pack from the guys at Love Noosa - it's important to enjoy and indulge a sleep in at least one morning during your weekender and not have to worry about rushing somewhere to grab a bite to eat. WHAT TO DO The beautiful thing about Noosa is that you can do as much or as little as you want. I highly recommend starting your mornings with either a yoga session at Little Cove, test your core strength with Noosa Stand Up Paddle along Noosa River, or my personal favourite, a hike through Noosa National Park to Alexandra Bay, otherwise known as ‘A Bay’ amongst locals. Refuel at Bistro C, a favourite amongst tourists, but also try Seasons, where the locals grab a bite to eat for breakfast. Spend your day relaxing at the beach and when hunger strikes, call the guys from Old Skool Kombis to take you over to the Noosa Boathouse for cocktails, a delicious lunch (I highly recommend the peach and mozzarella salad) and stunning views of the Noosa River. Get the amazing team at The Boathouse to organise a pick up from Malu Os Eco Boat Hire to drive you up the Noosa River and back to Hastings Street. A relaxing weekend away isn’t complete without relaxation of course, so head back to the pool at the Seahaven for a few leisurely laps or catch a few cheeky z’s on the couch. If cooking isn’t something you feel like doing, grabbing a gourmet pizza from Zachery’s is an absolute must for dinner. Then I highly recommend grabbing some beers and a blanket, and enjoy sunset on the beach in front of the Seahaven. The next day? Repeat. Of course. And on Sunday, your getaway isn't complete until you've celebrated the weekend with a bubbly or two onboard the beautiful M.V Catalina. Every Sunday, locals and visitors flocks to the Catalina to finish the weekend or start their week in style by sailing around Noosa River for the boats weekly 'Saltwater Sunday' get together. With guest DJ's, lots of pretty views and a stylish crowd, this is a very relaxing way to finish your weekend in Noosa. The gorgeous breaky basket by the lovely team at Love Noosa - it was as delicious as it looks. My private deck and one of the swimming pools (on the beach) at The Seahaven - incredible! The short walk from my apartment to the beach at Noosa! And our very cute little Kombi! Thanks for the quick boat trip Malu Os Eco Boat Hire! Best breakfast ever. Courtesy of Seasons on Noosa Main Beach - fruit salad with mint and ricotta.